Join us for another Feast-It food extravaganza this weekend! 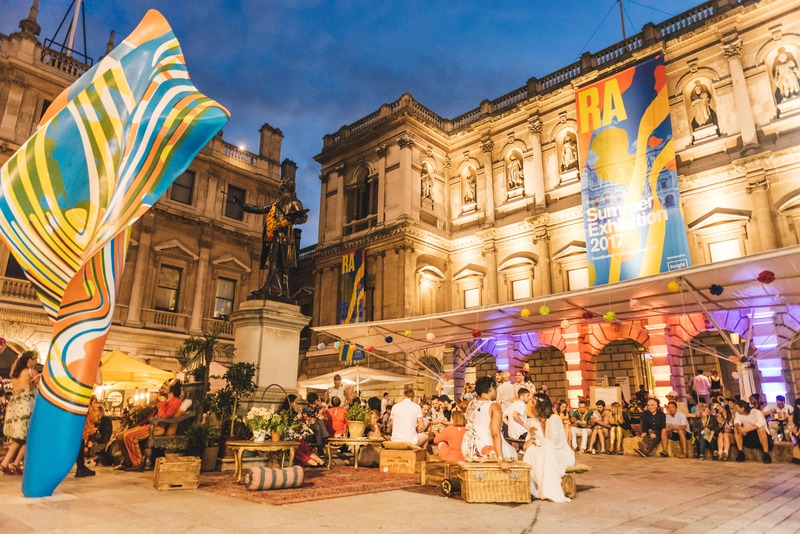 To celebrate the end of summer, we're partnering with the Royal Academy for an evening of art, music, interactive workshops, cool cocktails and delicious food. For a single night, the RA will transform itself into a mysterious, mythical land as the cobble-stoned courtyard transforms into a tropical Arcadian paradise with African drumming performances, a crown making atelier, talks on science fiction and mythology amongst other fun activities. Guests will also get an exclusive after-hours tour of the RA’s exhibitions, including the renowned Summer Exhibition, the world’s largest open submission exhibition, and Matisse’s transcendent collection of treasured objects. To top it all off, Feast-It will be bringing together some of London’s best street food vendors, giving guests the opportunity to try new and exotic food. From Japanese to Portuguese, there is something to excite everyone’s taste buds! 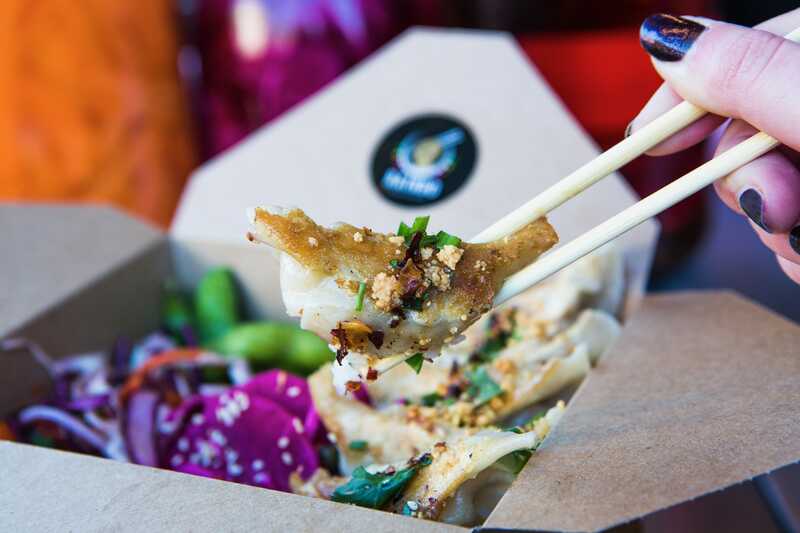 Serving Japanese soul food from their iconic 1948 Ford Pick Up, Rainbo are all about delivering fresh, exciting, healthy street food. They specialize in gyoza dumplings (which the Evening Standard placed in London’s top 3 gyoza) and the specialty Rainbo boxes. If dumplings aren’t enough, grab your chopsticks and try their house pickles or delicious yakitori skewers. The duo behind Growlers serve up a mean steak sandwich using high quality ingredients that celebrate great British produce. Inspired by pregos, a traditional Portuguese sandwich, the thinly sliced beef is basted in garlic butter and served between a crusty, soft bread roll. Piri Piri sweet potato fries along with Karma Cola are the perfect accompaniment to this summer dish. 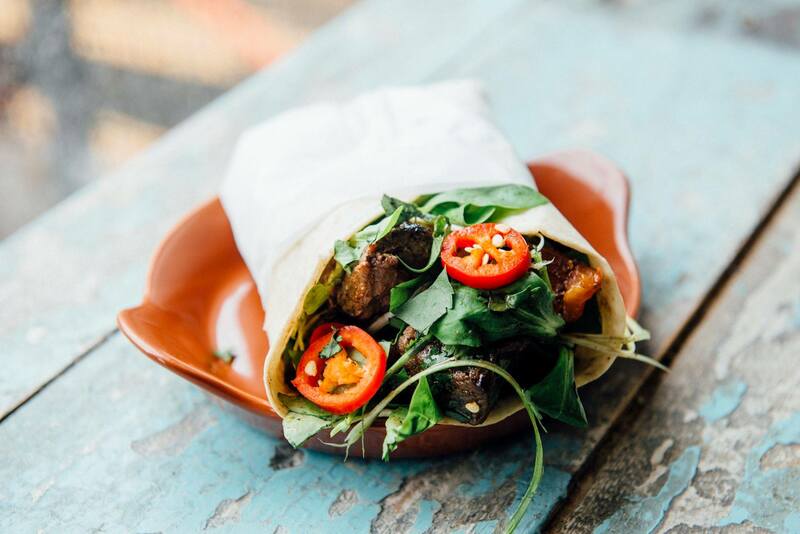 From West Africa to Pop Brixton, Zoe serves up a modern take on classic Ghanaian flavours and street food. Her star dishes include buttermilk soaked, 9-spice coated, double fried chicken and spicy Jollof Rice. If you’re still not convinced, Zoe’s has been earmarked by Time Out, amongst other food connoisseurs, as one of London’s top 10 chefs to watch out for. Don’t miss out because it's Ghana be great! Cookies and cream is a match made in heaven. 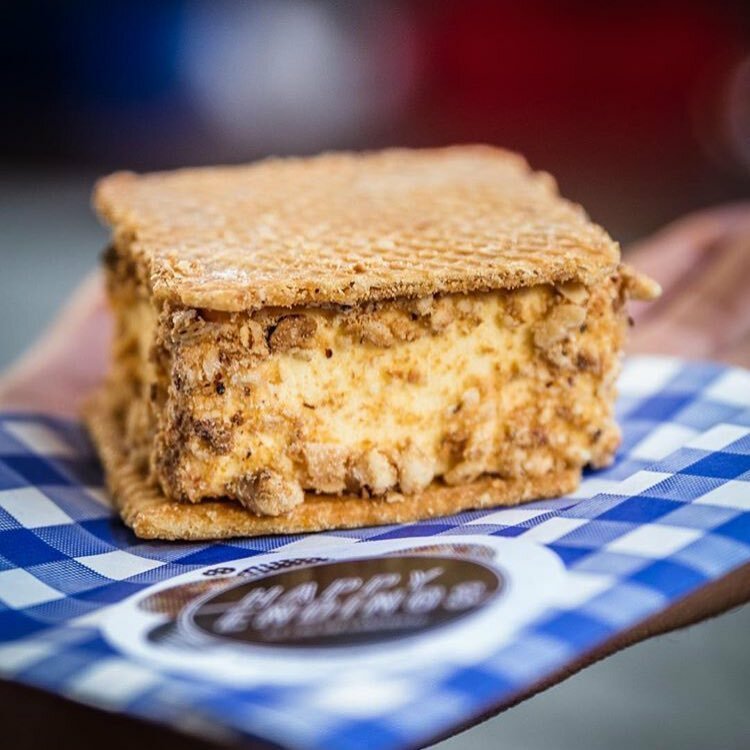 The team from Happy Endings, serve up creative and funky ice-cream sandwiches using careful sourced ingredients. The handmade ice-cream come in sinful flavours making the dessert a sophisticated, adult-friendly treat. Give in to a salted miso caramel parfait sandwiched between a rich chocolaty sponge or cool off with a boozy ice-lolly. This is your happy ending. 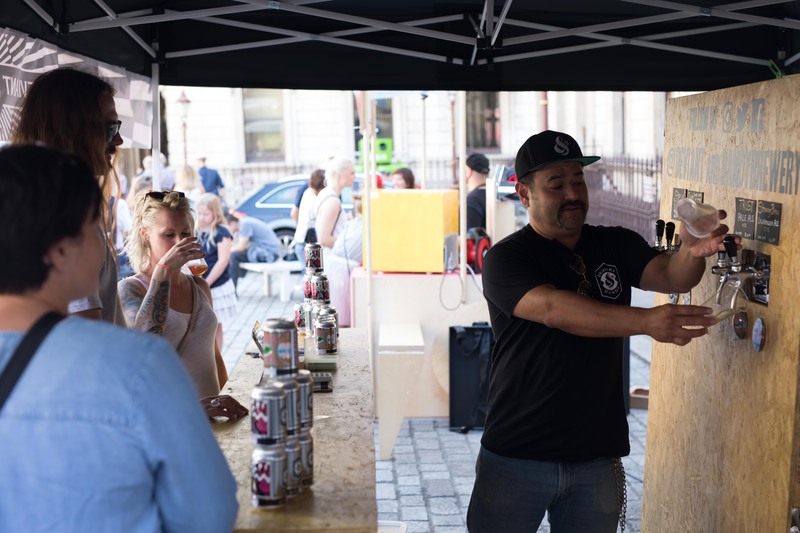 Deviant & Dandy founder Byron Knight is all about making beer and hanging out with people whilst drinking beer. He more than earnt his stripes as a founder of Beavertown Brewery and is now pushing the boundaries of beer, so that you can try new exciting flavours that go beyond just hoppy IPAs or mild bitter ales. 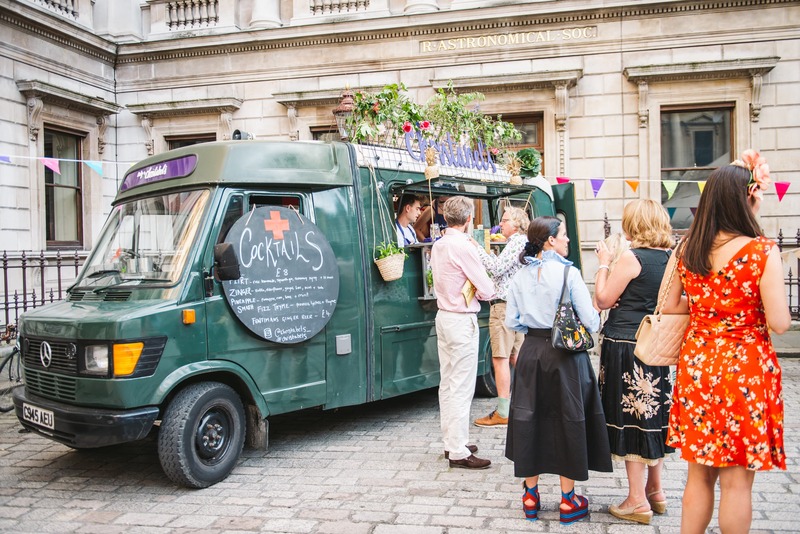 Christabel will be bringing Ruby, the re vamped 1980s ambulance to serve mindblowingly inventive cocktails and to bring the 'WOW' factor to the RA courtyard. Ruby comes beautifully lit with a trellis of flowers and foliage and produces delicious seasonal cocktails which look and taste sensational. Whether it's a Sweet Pea (gin, split peas, lemon + agave) or a Carootini (apple juice, tequila, agave + lime) you'll definitely be coming back for more. For more information about tickets, the program and the evening visit the Royal Academy’s website. 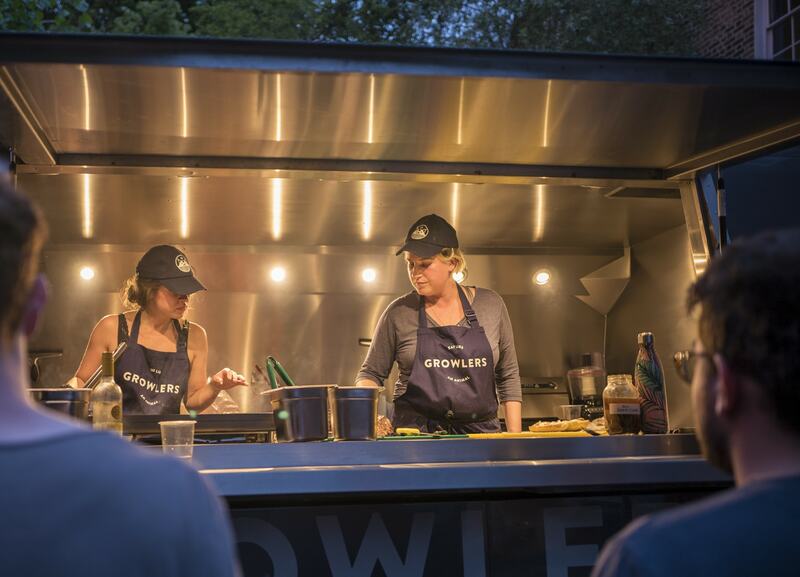 To book any of the street food traders on show for your event, head over here.